This ribbon cutting commemorates the renovation of the Body First Indoor Tennis Facility extends the partnership, with a multi-year commitment between Body First and K-State Athletics, to enhance the Kansas State Tennis program and promote tennis in the Manhattan community. 2017 Outdoor track season, Body First Massage Therapists Doug Sellers, Stephen Parish, and Mary Mignano were part of the support staff that helped the Kansas State Women’s Track and Field team win the Big 12 Championships. 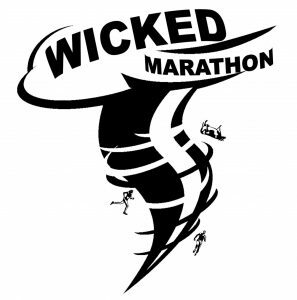 Body First presents the Wicked Marathon in Wamego, KS. The course finishes and in front of the Wizard of Oz museum. By 2017 Body First has added a half marathon and 5k race to the event. In August of 2010 Body First purchased Cottonwood Racquet Club at 3615 Claflin Rd. The purchase allowed Body First Wellness to expand its offerings to include fitness and tennis. 2008 Body First Sports Massage blossoms. In 2009 Body First changes its name from Body First to Body First Wellness Center to reflect its focus on the wellness of the whole body. Doug and Steve both gave the ideas two thumbs up! Double good job! In January 2008 Dr. Kenyon Erickson joined the Body First staff. Dr. Erickson is the founder of Erickson Family Chiropractic and has been practice Chiropractic Care and Acupuncture in Manhattan since 2000. Dr. Erickson believes that each person deserves individualized care. His goal is for everyone to reach their optimal health. 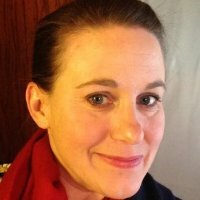 Dr Erickson works with you to tailor your treatment to your unique needs. By spending time with each patient he as able to address individual concerns and provide customized chiropractic care and acupuncture specific to the individual. 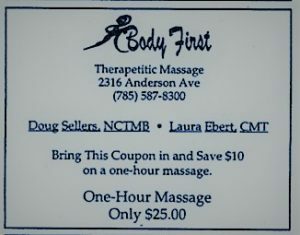 After joining the Body First staff in 2006 Stephen is invited to join Doug and Conni and become partner in Body First. Conni had been helping Doug with the operations of Body First since the beginning but dove in 1000% in 2002. She took over day-to-day operations and marketing so Doug could focus on growing a professional massage therapy clinic. By 2001 Body First has the largest massage therapy staff in Manhattan. In addition to have a large number of massage therapist on staff each therapist possess a high level of training, continue to increase their base of knowledge, and adhere to the highest standard of professional ethics. 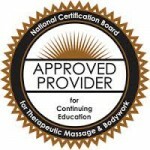 2000-Body First recognized as premier Sports Massage provider. By 1999 the demand for Body First massage had exceeded expectations and they outgrew their location. Body First moved from 2316 Anderson to across the parking lot to 2308 Anderson and brought additional therapists onto their staff. To ensure the highest standard of care, Body First established their minimum standards of education, training, and experience for the massage staff. In addition, each therapist agrees to adhere to a Code of Ethics. 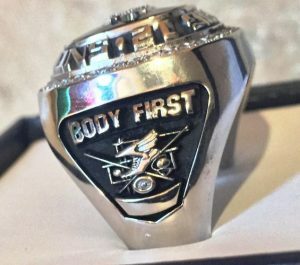 To this day Body First requires a high level of excellence from their staff. 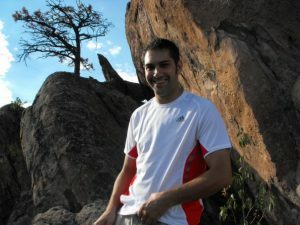 After moving to Manhattan, KS from Athens Georgia, Douglas Sellers begins working in Manhattan as a massage therapist. Within one year Doug founded Body First and Laura Ebert joined the Body First staff. 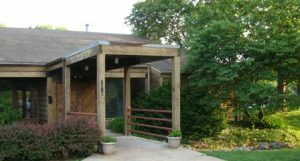 Doug and Laura offered a wide range services including massage therapy, sports massage, pregnancy massage, spa services and more….